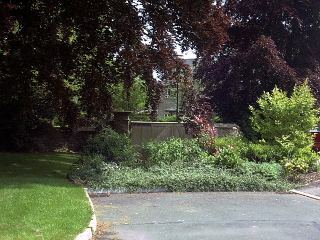 Beechfield House, the horseshoe stable block that housed the pottery and photographic darkroom/studio, the front gate to the site from Middlewick Lane (now blocked from the inside), that copper beech tree and most of the other memorable trees, are the remaining features in today's remodelling of the Beechfield site. 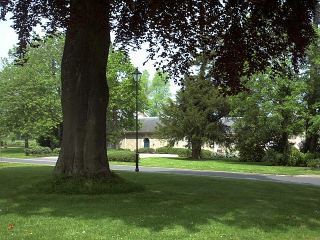 Stable block through the trees. 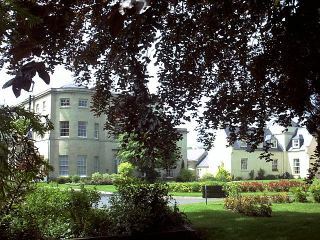 Picturesque view over the main gates. 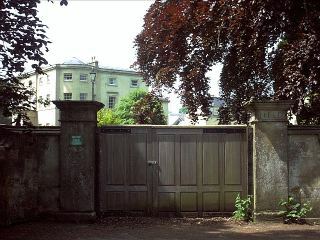 Entrance gate to BEECH FIELD, now closed. The way home is blocked, forever. 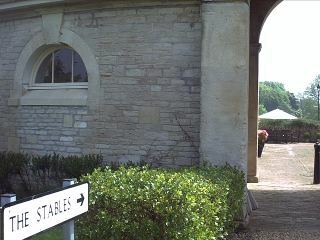 The stable block has been re-designed into individual mews cottages and like the main house was also left to rack and ruin over that decade. Then it was possible to enter the old studios and root around what was left behind. The kilns that were built in situ, were too big to take away and more cost effective just to leave to the elements and eventually the developers, to clear away. I can remember John Colbeck risking life and limb, Peter Ford giving verbal support, fitting the chimney to Jack's new gas kiln that was situated directly where the arch is. 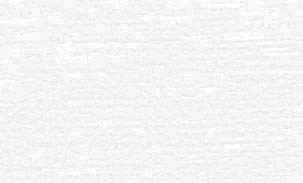 Was it true J.C. never changed his blue jumper & jeans or did he have a secret closet in Beechfield House with 20 pairs of all the same colour tucked away? The staff were as colourful as the students but few were as original as Adam, who in '77 lived in a tepee on the grass at the back of Beechfield. On the insides of the arch (bricked up), you can still imagine the 'potters' hurrying through to the wheel room to get to the best wheels in the morning. 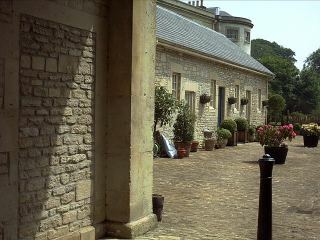 At least many of the stable block features were retained such as the half circle windows and the owners take great care to plant out their area with colourful hanging baskets and freestanding 'pots' - very appropriate.